We already know that the Spider-Man debuting in the Marvel Cinematic Universe and in the upcoming reboot will be Peter Parker. But does that rule out a cameo that some might consider…Ultimate? 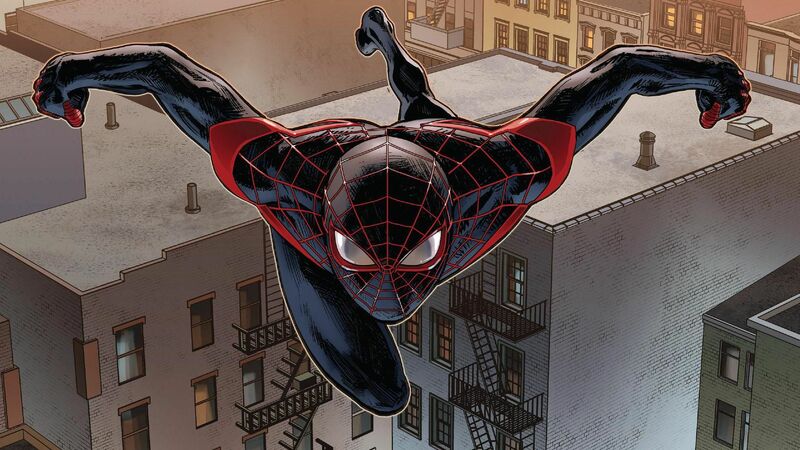 I’m speaking of course of the Ultimate Universe Spider-Man himself Miles Morales. Back before we got the Parker confirmation there were rumors that to diversify their universes Marvel Studios and Sony were entertaining the idea of the multiracial Morales as the wall-crawler. I can’t talk about that, because, you know, that will reveal too much. We’re still writing the story…we haven’t finished all the way through the story yet, so who knows? The fact that he isn’t at liberty to confirm or deny is a good sign for Miles Morales fans. This means the powers-that-be might be entertaining the idea to at least introduce the character in he hopes of one day using him. We might have to wait until casting begins for the scheduled Spider-Man reboot to see if we can spot anyone that fits Morlaes’ description. This entry was posted in Breaking News, Film, Marvel and tagged Jon Watts, MCU, Miles Morales, Spider-Man. Bookmark the permalink.